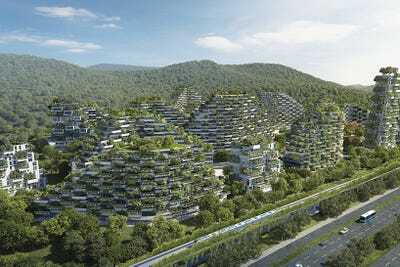 Stefano Boeri ArchitettiA rendering of the upcoming ‘forest city’ in Liuzhou, China. 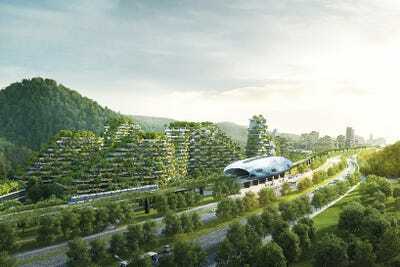 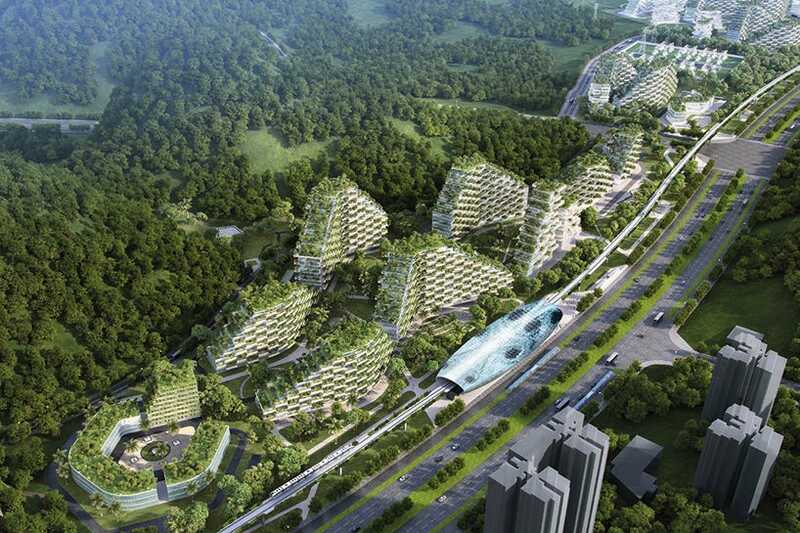 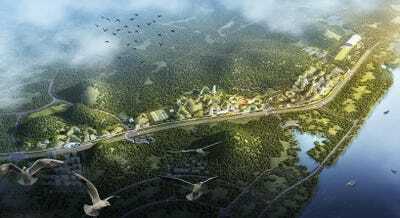 Boeri’s ultimate goal is to create an entire “forest city” that will become a reality in Liuzhou by 2020. 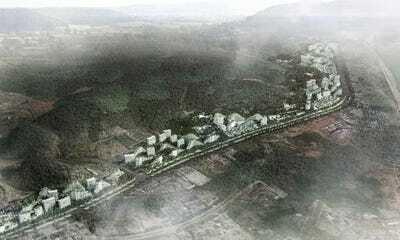 Take a look at the plans below. 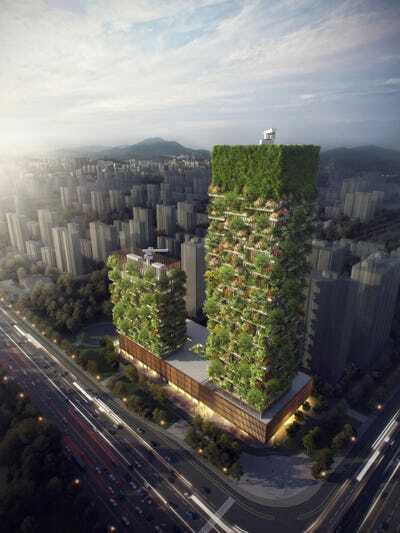 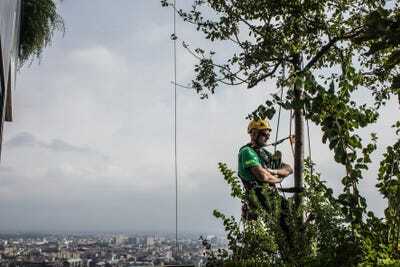 The plants will absorb an estimated 10,000 tons of CO2 and 57 tons of pollutants annually -- which is the equivalent of kicking more than 2,100 cars off the road. 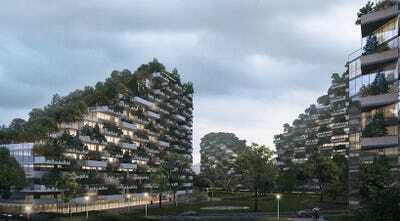 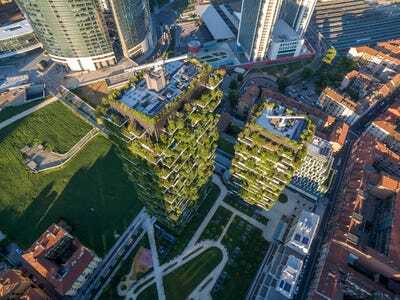 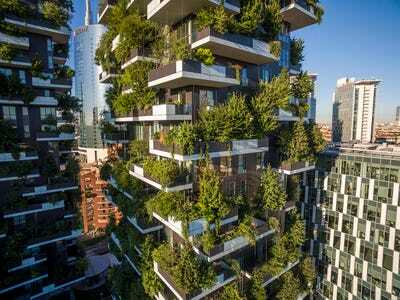 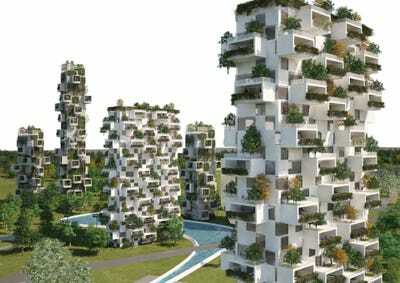 In early 2017, another Chinese city, Nanging, started building 'forest towers' designed by Boeri. Set to be complete by 2018, they will feature offices, a 247-room luxury hotel, a museum, and an architecture school.